ORCR is committed to assisting U-M investigators in their understanding and application of human subjects protections. Please see our Policies and Procedures page for standard operating procedures pertaining to compliance reviews. ORCR has developed a number of self-assessment tools for investigators to assist in assessing study conduct. Self-assessment tools are posted on our Self-Assessment Tools page. The Office of Research Compliance Review (ORCR) provides objective analysis and evaluation of non-financial research activity compliance for investigator-led research studies, with emphasis on human subjects studies, units of U-M's Human Research Protections Program (HRPP) and of the HRPP as a whole. ORCR's mission is to facilitate safe, ethical, efficient, and high quality research. We accomplish this mission through compliance reviews and additional HRPP initiatives. Routine review - a proactive not-for-cause review to identify risks of research activities, prevent noncompliance, and assist investigators in correcting any noncompliance. These reviews are generally conducted following IRB approval and after several subjects are enrolled. For Cause review - a directed review conducted when potential allegations of research noncompliance are received by UMOR. The allegations may arise from the Institutional Review Boards (IRBs) or other U-M compliance oversight committees, the research administration, research subjects, faculty, research support staff, funding or regulatory agencies, or ORCR staff. In these cases, UMOR refers the review activity to ORCR. A for-cause review can be at the investigator/study level, the system level, or both. The majority of ORCR reviews are for individual human subjects studies, but unit or system level reviews may be conducted as well. An example of a system level review would be a review of a U-M IRB, an ancillary committee, or a research service unit. See our Resources and Web Links page for related information. Is the Office of Research Compliance Review (ORCR) part of the IRB? No, ORCR is independent of the IRBs. ORCR’s function is to provide an objective review of human subjects research conducted at U-M.
What might an investigator gain from an ORCR compliance review? Increased knowledge and understanding of human subjects research regulations. Increased knowledge and understanding of U-M policies and procedures. Access to resources in the form of study and subject level tools and self-assessments. How should an investigator prepare for an ORCR compliance review? The Principal Investigator (PI) or a designee should contact the ORCR reviewer to schedule a time for the compliance review as soon as possible. The investigator, or other study team members as directed, should assemble study records for review. An example of records the compliance associate may want to review include: eligibility criteria, enrollment logs, training documentation, informed consent documents, and the regulatory binder. What should an investigator expect during a compliance review? The Principal Investigator (PI) should plan on an initial 60-minute interview with an ORCR reviewer. This discussion will focus on areas of potential study risk. Interview questions may include but are not limited to: roles and responsibilities, recruitment, consenting process, study procedures, record keeping, data management, monitoring, and oversight. The scope of the review may vary and is tailored to the scope, nature, and complexity of the study. Following the initial discussion, the ORCR reviewer will review study records with the study coordinator. Following the review, the investigator will have an opportunity to review a draft report to verify facts contained in the report. The IRB of record will also have an opportunity to review a draft of the report. The final ORCR report will be sent to the investigator, the IRB of Record, the Research Associate Dean, and Associate Chair for Research or Department Chair. For more detailed information, see ORCR SOP 101 (Not for Cause Routine Review) and ORCR SOP 102 (For Cause Review). What are potential outcomes of a compliance review? 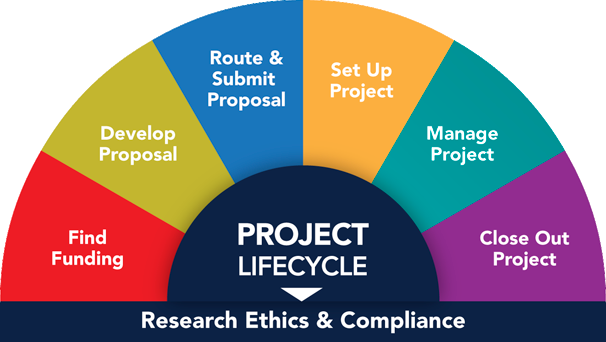 If non-compliance is identified during a routine review, the investigator may be asked to submit to the IRB specific changes to the protocol, informed consent, the eResearch application, or other study related materials. If non-compliance is identified during a for cause review, the IRB of Record will craft a Corrective and Preventative Action Plan (CAPA) for the investigator which may include submission of a revised protocol, informed consent, or other materials. ORCR will collaborate with the IRB to craft the CAPA plan and follow-up on required corrective actions. Visit the Self-Asessment Tools web page (link) for resources to help you evaluate your approved human subjects study. Visit our Resources page for a list of helpful internal U-M web links. Visit our Resources page for web links to helpful federal websites.